Taking Bax & Berg to the top of New Zealand's online retailer space. 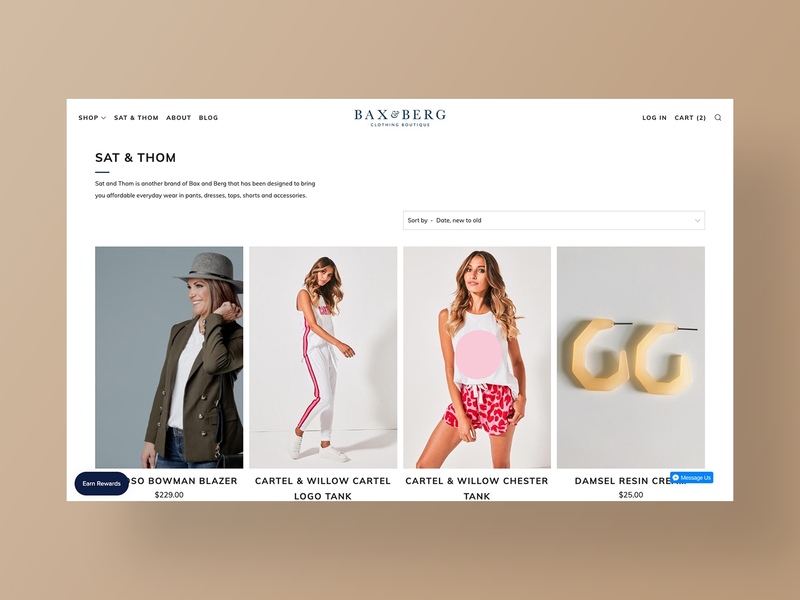 Bax & Berg are a boutique womens clothing store located in Amberley that offer exclusive European, Australian, and New Zealand designer pieces at affordable prices. 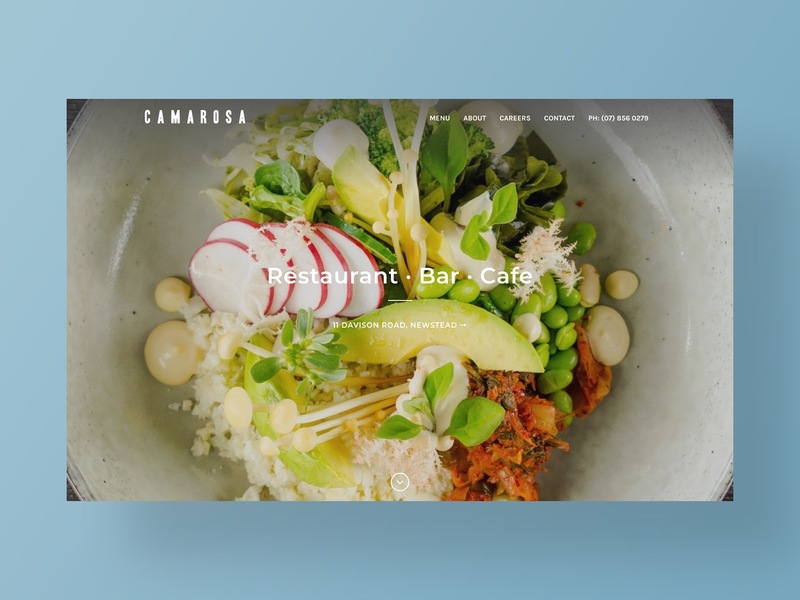 Born out of a passion for designer clothing, they are constantly evolving and are always striving to bring fresh new looks to their customers. With great in-store success, the founding pair decided to move their efforts online to take over the rest of New Zealand. 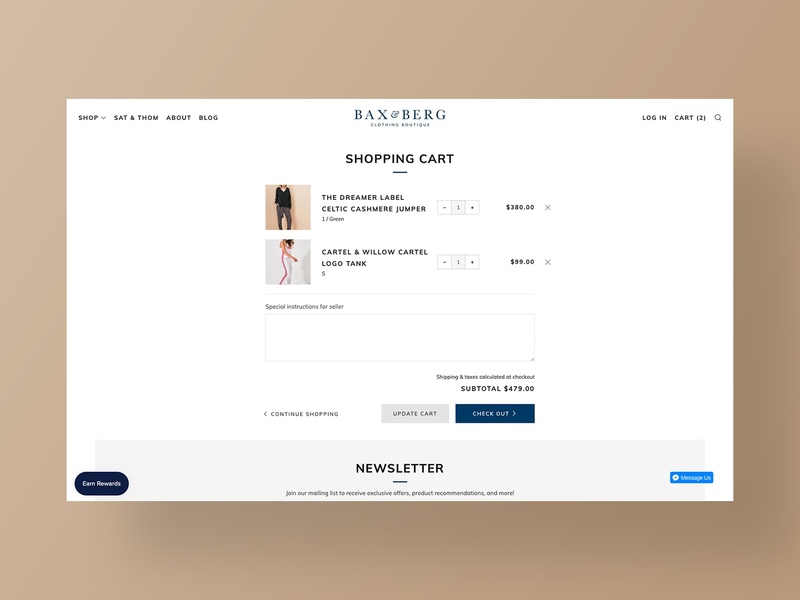 When online sales growth started to slow down, Bax & Berg reached out to us for help. 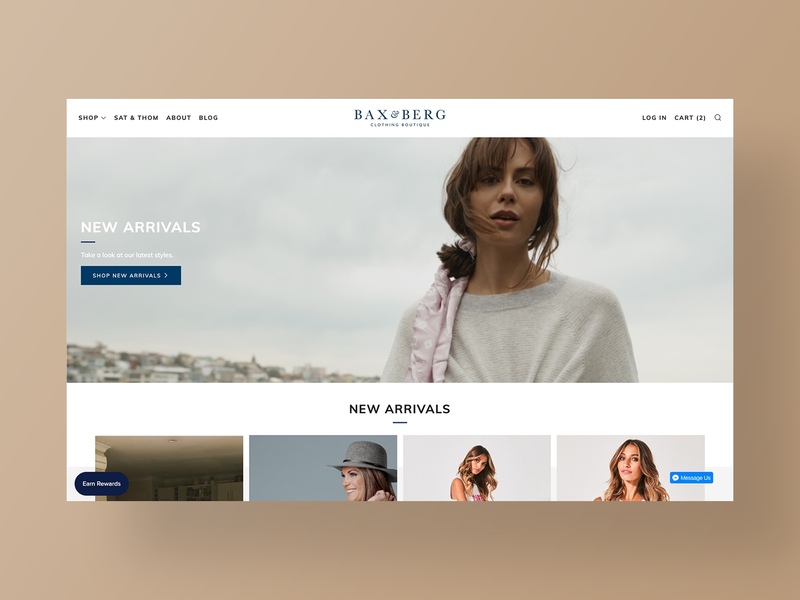 We started by sitting down with Bax & Berg in order to, amongst other things, understand their inspiration, store culture, company values, and where they saw Bax & Berg in 3-5 years. 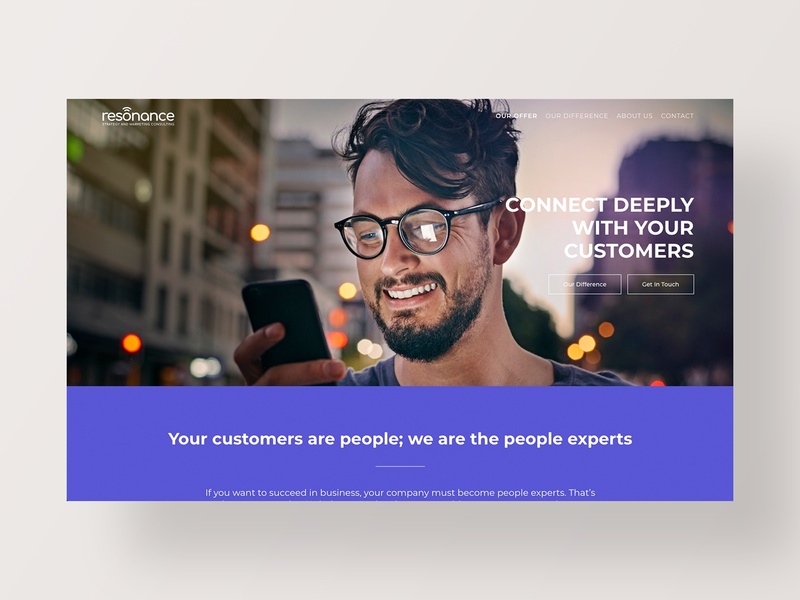 From there, we undertook an audit of their digital presence and developed a comprehensive strategy to take them to the top of New Zealand's online retailer space. 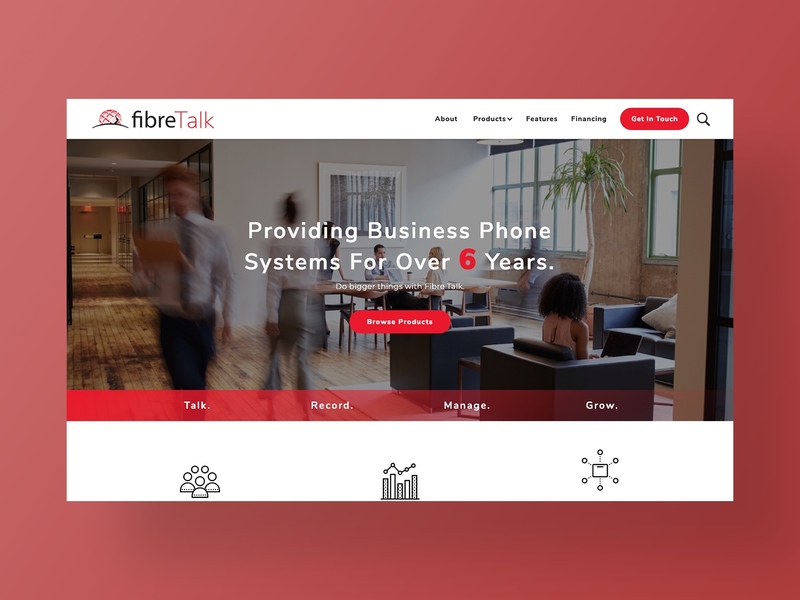 Phase one of our strategy involved the redesign and development of their website in order to 1) provide a great user experience, 2) speak to their brand, 3) maximise conversions, 4) be search engine optimised, 5) provide easy site management, and 6) produce actionable analytics. 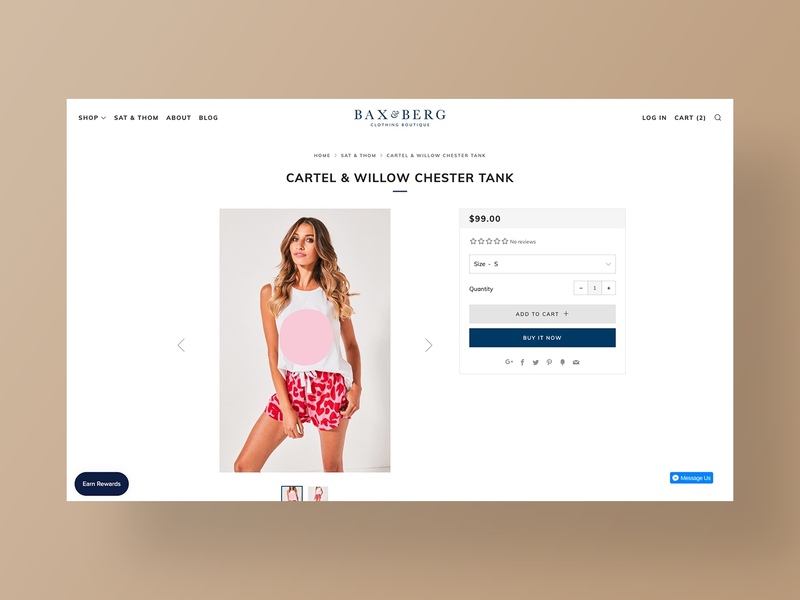 In order to continue driving Bax & Berg forward, we continue to work closely with them through AdWords and Google Shopping management, reward system management, social strategy, customer experience optimisation, user experience refinement, campaign development, and much more. "We are so pleased with how Neon Hive have helped us grow online and would highly recommend them to anyone looking to smash ecommerce out of the park."